GRACE, the 28 metre Moonen, is an excellent example of the 94 series. Built in 2007 and refitted in 2017, she boasts a modern and light-filled interior reminiscent of a chic beach club. This theme flows throughout her exterior, offering an abundance of deck space to entertain or unwind while at sea. Accommodation for 7guests is split across 4 spacious cabins, comprising a master suite, 1 VIP,1 twin and 1 single cabin. 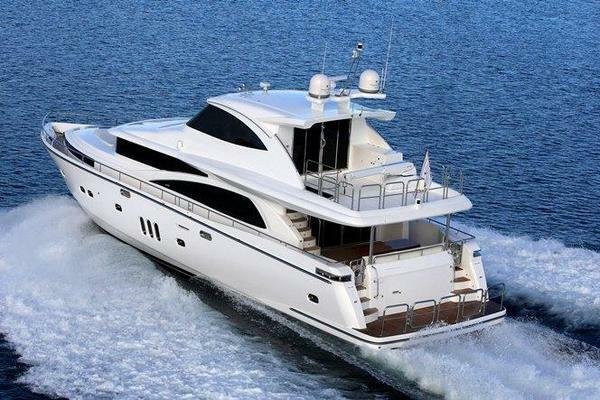 In turn-key condition and with great sea stability, she represents an excellent choice ahead of the summer season. United Yacht Sales New Jersey would love to guide you through a personal showing of this 91' Moonen Moonen 94 2007. This yacht for sale is located in Mallorca Spain and priced at $3,950,000. For a showing please contact us by filling out the form on this page and we will get back to you shortly!